Spring is a time when people all over the country tend to take part in an unofficial cultural norm known as spring cleaning. Homeowners all over the place will empty out their closets, go through their garages and attics and purge themselves of the things that they no longer need. If this is something that you tend to do every year, perhaps you should consider the possibility of extending that process to the exterior of your property, as your yard will need some spring cleaning as well. One of the areas of your yard that will likely need some attention is your trees. Your bushes, shrubs and other large plants may also need some work. 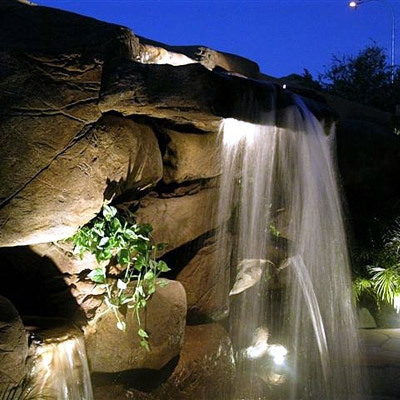 There are several reasons that you should trim these plants and several other reasons as to why you should have San Diego landscaping professionals handle this process for you. Now is the time to prepare your yard for the summer and the fall, and now is the time to get moving on clearing your yard and land of unwanted clutter. You need to trim your trees so that you can maximize the sunlight that hits your yard. That will only make it easier for your smaller plants and perhaps your garden to survive. You should also take care of this need because dead tree limbs can actually be dangerous, as no one can predict when they will snap off and fall to the ground. That could be a big problem for someone who happens to be in the wrong place at the wrong time. The same needs to be done for larger bushes and shrubs. While there is not as much of a safety concern, unkempt hedges and shrubs simply do not look good. However, bushes and shrubs that are properly maintained give the appearance of someone who truly cares about his or her home and yard, and that makes a big difference on overall curb appeal of your home. Professional San Diego landscapers should handle this process because they will be able to reach those areas of the trees that homeowners will not. They will also cut the correct boughs and branches and cut them to the trunk so that they will not need to be dealt with again. These professionals should also handle your bushes and shrubs simply because they will be able to provide you with the finished product that you would want in terms of look. All of this extra material will then be gathered and disposed of properly, or it could be cut down and kept as firewood if you already have that capability set up on your property. Regardless, removing this extra material will also minimize any fire hazard that could arise with dry and dead wood on your land combined with the dry season that is about to arrive. If you’re ready to give your yard the spring cleaning it needs, contact the team at Juniper Landscape Company today to schedule an initial meeting.